Call: (310) 645-8789 for service. Extensive experience with practical forklift and other mechanical material handling as well as accident prevention, safety, and accident investigation involving manual and mechanical materials handling. 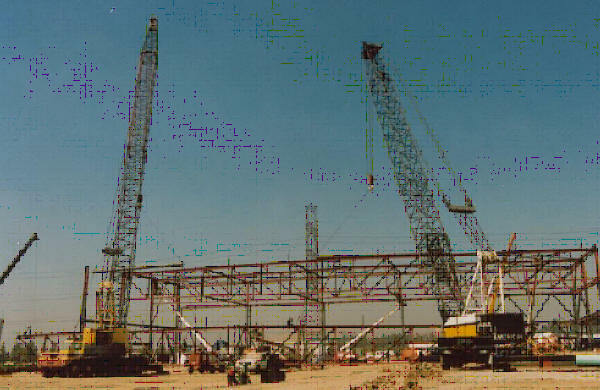 My background and experience include a healthy dose of practical operating experience with material handling equipment of many types including many makes of forklifts with gear for handling steel, pallets, and slipsheets; mobile cranes; bridge cranes; hoists; conveyors; liftgates; and rail and highway rolling stock. I have operating experience with earthmoving equipment. I have owned Cat D-6 dozer and Ford, Kubota, and Case tractors. I have hazard knowledge of articulated equipment in the agricultural realm as well. 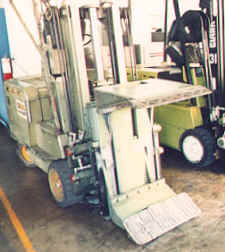 I have operated forklift equipment from Hyster, Cat, Towmotor, Yale, Clark, and more. During my warehouse and industrial employment, I worked with hand trucks, pallet jacks, flats, and carts of many types to handle variously configured loads including roll goods, drums, crates, and loose cartons. Practical work experience includes handling fluids and loading and unloading tank trucks and rail tankers. My working experience in insurance and my independent accident prevention practice adds to my qualifications on materials handling safety. I am familiar with, CAL/OSHA, OSHA, other codes and standards which apply to materials handling safety and operations and jobsite accident problems, as well as the ASME, SAE, and other codes and standards which apply to the safe construction, care, use, and maintenance of materials handling equipment. I teach them in my classes. From time to time my accident prevention clients call on me to give forklift safety training sessions for their personnel. I have been called on to prepare a study guide for a forklift safety training film ("The Color of Safety") for Barr Films. I have overseen crane operations and developed safe lifting plans for accident prevention clients. I taught three crane safety workshops in India to representatives of some of the worlds largest engineering and construction companies.